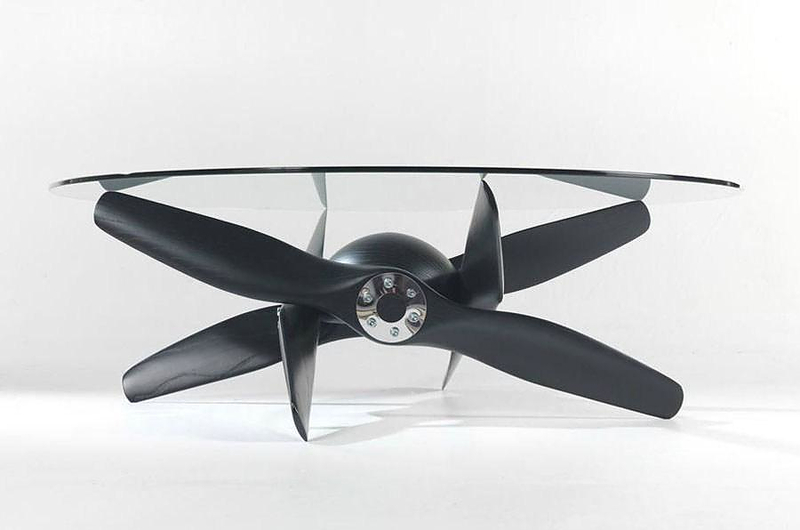 HomeBlogHome DecorTupolev Table by Colico Design. The Tupolev Table by Italian brand Colico Design combines modern with retro aesthetics and its peculiar design evokes memories of flight and travelling. 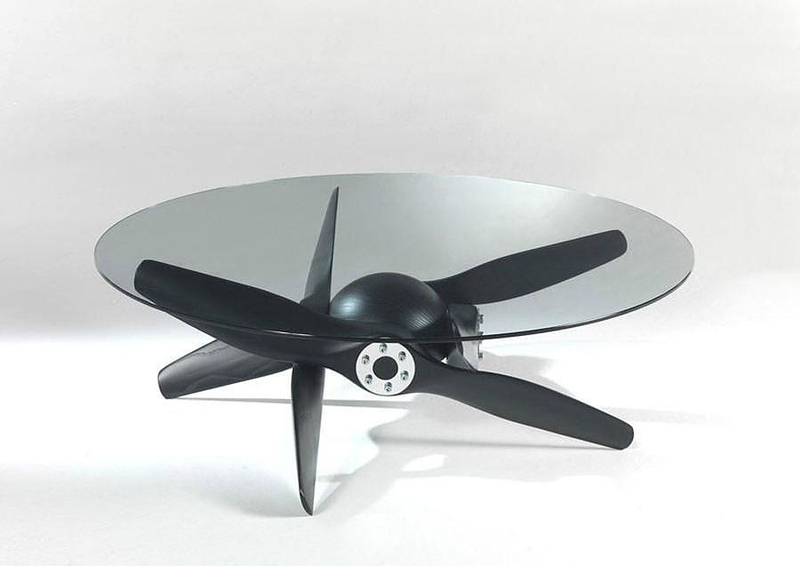 Designed by W. Colico and proposed in both coffee table and dining table versions the Tupolev Table has a very peculiar base made of four wooden props, whose shape resembles aircraft propellers. The wooden props are arranged in an interlocking manner, which retains the structure stabilized, while the crystal top highlights its sculptural essence. 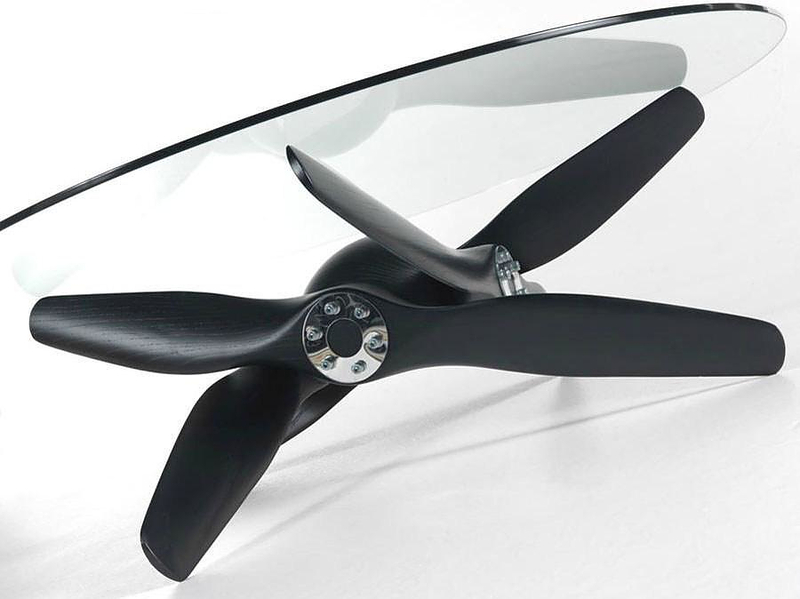 Despite the fact that the design is fresh and modern, the retro propellers add that nostalgic element, which gives the object a timeless, classic dimension. The name Tupolev is a tribute to the now iconic aircrafts produced by the well-known Russian aerospace and defense company. The Tupolev Table will certainly appeal to the fans of aviation, but it also conveys a sensation of travelling and evokes memories of past journeys. An ideal coffee table for long relaxing conversations down the memory lane. 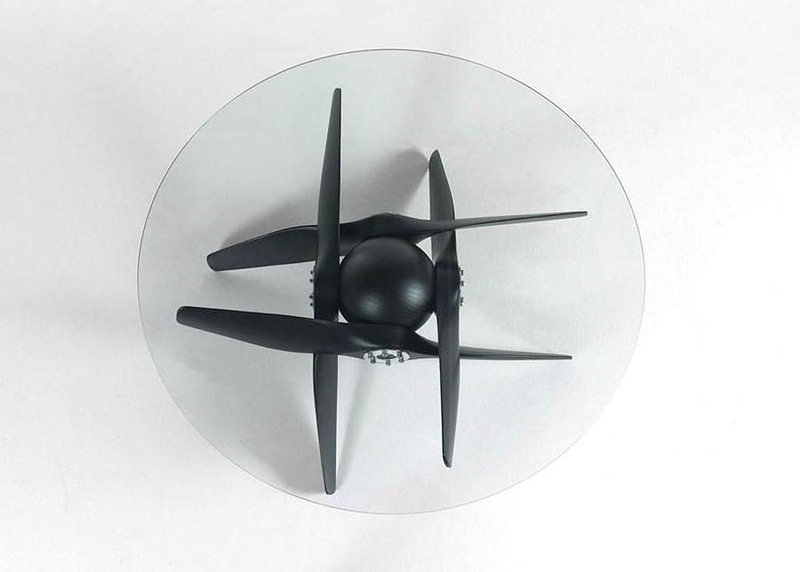 Innermost Origami Table by Anthony Dickens.